I found myself in the rare position of being able to choose a book for myself last night. My next book to be read and reviewed for publication isn’t until next week so I got to look at my 400+ books and decide what to read. I chose We Were Liars partly because it was short, a mere 227 pages, and also because it had been recommended to me sometime last year. I hadn’t read the blurb, nor had I read any reviews so I went into it knowing only that it was YA fiction. Now, as regular followers and friends will attest, I rarely read outside of my crime book comfort blanket genre. I love crime fiction in every guise, so this was a massive departure for me. It was about time I read something different. That’s some description isn’t it! Is it any wonder I didn’t know what to expect once I started reading! We Were Liars is a book about friendship, about love, about family, and so much more. It packs it all in such a small book. I think it’s one of those books that you either love or hate. I was in neither extreme though. It left me feeling a bit meh. It focuses on the Sinclair family. Think of those clean cut, wealthy, summering in the Vineyard kinds of US families and the Sinclair family is what you would see. Grandparents, kids, grandkids all off to the island for the summer and filling their days with tennis, swimming and wine fuelled dinners. I found it difficult to warm to Cadence (her name is a thing of beauty though) and her “Liars” as she called them. Cousins Johnny and Mirren and another boy, Gat. As characters, they were self involved, entitled and abrasive at times. We Were Liars also deals with teenage love. The all-consuming, gut-wrenching, heart-breaking first love, the worst kind. Reading this book, and I’m probably showing my age here, reminds me of when I was young and watching Dawson and Joey on Dawson’s Creek . The declarations and thoughts, more verbose than my teenage mind would ever be able to think of, are present in We Were Liars. There is also tragedy in this book, and it is hidden within layers of words and written in odd shaped stanzas at various intervals. While I assumed (correctly) early, I still wasn’t certain of what happened until it was right there in black and white! I gave We Were Liars 2⭐️ on Goodreads. I dropped stars for it’s lack of momentum, and because it just wasn’t my usual type of read. 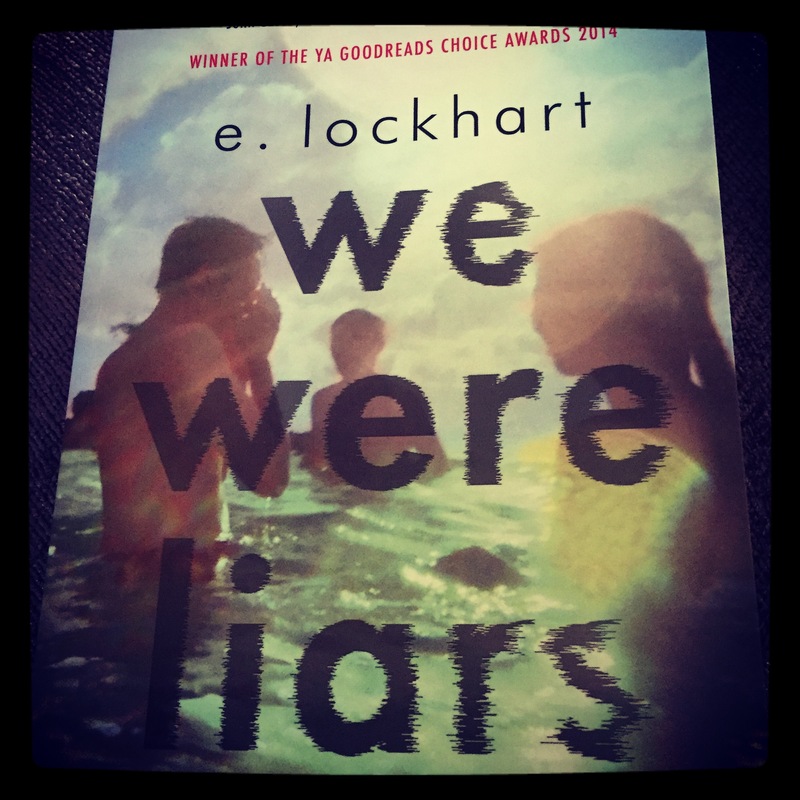 All the same, if you enjoy YA fiction, you should definitely give We Were Liars a go!